India currently ranks among the fastest growing economies globally and is celebrating demographic dividend with two-thirds of 1.3 billion people under the age of 30 years. The country aspires to be an economic superpower and contribute about 25 per cent of the world's total workforce by year 2025. On the other hand, 500 million skilled workers will be required in the next five years - especially in manufacturing. A big challenge lies ahead, however, as estimates show that only 4.69 per cent of the workforce has undergone formal skill training. More worryingly, over 30 per cent of youth aged between 15 to 29 years are 'not in employment, education or training,' according to Organisation for Economic Cooperation and Development (OECD). 'Not in employment' refers to those who are not searching for jobs either due to unavailability or because there are no jobs to match their skills. With a million people entering workforce every month, India has embarked upon the world's largest human resource development exercise. For the first time in 68 years of Independence, the Ministry of Skill Development and Entrepreneurship (MSDE) has been formed to focus on enhancing employability of skills. 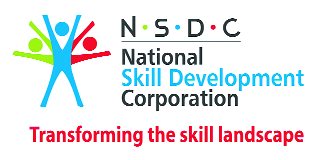 The National Policy on Skill Development - announced on July 15, 2015 - aims at creating an ecosystem of empowerment by skilling on a large scale at speed with high standards and promoting a culture of innovation based on entrepreneurship which can generate wealth and employment to ensure sustainable livelihoods for all citizens. The MSDE is actively engaging with foreign government and institutions to share best practices, benchmarking standards and training of trainers to enhance capacity of India's skill training eco-system. A total of 16 India International Skill Centres (IISCs) have been launched to prepare the youth for job opportunities in global markets. Meet Hemant Jha. Until PMKVY happened, he was just another young man of Katihar district, Bihar. Who knew one skill training with PMKVY will change his life so drastically. He was trained under PMKVY's Life Science Skill Development Course which groomed him to become a successful medical representative. PMKVY transformed him from an unemployed young man to a rising employee at one of the top international healthcare brands Sun Pharma. As his dreams found wings, his home found a stronger foundation. Skill India has seen huge participation from the women in the country that will eventually translate into the country's economic growth. In the last 3 years, more than 3 lakh women have been trained to earn their livelihood. A small training transformed their lives. From ordinary women, they emerged to become their own heroes. This success story comes from the eastern end of the country. Who thought a regular tribal woman from a remote village of Tripura would do something that'll change the way people look at cultivation? Traditional cultivation was not enough then, it isn't enough now. That's why when an entire village struggled to make the ends meet; she understood it was time to bring a change and she did. Nitya Devi Nihotiya, one of the PMKVY candidates chose a path less travelled. Her efforts paved the way and brought her to PMKVY's Rubber Plantation Training, after which she started Rubber Planting Nursery. This nursery opened doors of profits up to Rs.4,000 per month. Not only she is grateful to PMKVY, but elated to share her experience as to motivate others who are in need of right direction. Another such story is of two sisters Poonam and Komal. Their plight didn't stop them to change their life. Broken dwellings, pity conditions and no funds to continue their education was the scenario they wanted to change. And, it happened after they pursued a skill training course from PMKVY. The change was gradual but strong which turned them into textile company employees. Not only they happily support their families now but have become a role model for women who want to be financially independent through their skills.